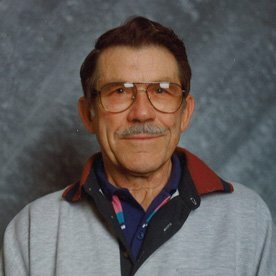 Our oldest PGA member of the PNW section, Roy I. Bishop Jr., 95, passed away on December 1st at his Olympia home with his family by his side. He was a 48-year member of the PGA. Roy was the first Golf Professional at Olympia’s newly constructed Capitol City GC in 1962 and went on to develop Mountain Greens Golf Range & Mobile Home Park. Roy also assisted his son over the years at Grays Harbor CC and The First Tee of Olympia. As an amateur, Roy was a terrific player, representing the U.S. Army in numerous competitions while serving in WWII. While living in Raymond during the 50’s he captured the Willapa Harbor men’s club championship numerous times and was honored to play in an exhibition match at the Centralia Elks GC alongside Byron Nelson. Roy is survived by his wife of 72 years, Jean, his daughter, Karen, son, Kevin, 5 grandchildren and 6 great grandchildren. A graveside service will be held on Friday, December 9th, 1:00 PM at the Claquato Cemetary, 142 Stearns Rd. Chehalis, WA. Read our article about Roy in last year’s December Foreword Press issue.